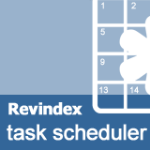 Revindex Task Scheduler 5 - Advanced automation for your site by Revindex Inc. This module is so simple to use and does exactly what you need. Great product. 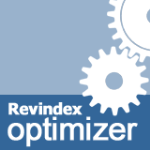 Revindex Optimizer 3 - Make your site run faster by up to 50%. Turbo performance, speed, optimize by Revindex Inc.
Just wanted to post up a quick review about this module. Have installed on a live shopping site and the speed improvement is great. The module appears to be very stable and does exactly what it says on the tin. Very cheap module for the benefit it provides. This is a great product and they tweaked it so that you can now specify the "from" address for outgoing emails which is great. Product works very well and does exactly what it says and is very easy to use and setup. Support is great and they respond to suggestions to improve the product. Highly recommend. This latest version if brilliant. I use the Gallery, Video and Article modules on a client project and they are so easy to use. 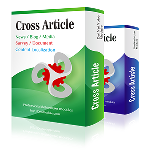 We have written our own modules that access the Cross table structure as they are so well written it was very easy to do. The support is great and they are always willing to take on new ideas and enhancements. This really is a must buy product if you are looking for a very very flexible, well written photo gallery, plus we use the Flickr part so my client just uses Flickr and photos appear on the website, even better is that all the photos are hosted on Flickrs CDN so we dont have to hold the images locally. If I could give this 100 stars I would. This is a great module. Has lots of flexibility and can be changed to look how you want. The backend is really easy for my client to use and the support if top class. Highly recommend this product. This product is brilliant. Ran into a few issues due to DNN changing things but the developer fixed very quickly and was very helpful. I would recommend this product and for the price it is great. This product is brilliant and Bogdan provides such great support. I was trying to do something a bit different and put in a support request and within a few hours I have a detailed reply with suggestions on how to do what I wanted. It turned out that it would require a code change and Bogdan did this very quickly and it worked first time. I highly recommend this product and Bogdan to everyone as it is just so simple to use, so powerful and the support if the best I have ever had with any product. I dont normally write reviews but I have to say this product is outstanding. It does exactly what they say and worked first time. I needed to copy my live site to a VMware test server and it did it perfectly. I am now using it to make a backup of my DNN install to an FTP site which again just works. I really do recommend this product to everyone. Oh and the support is really good to. Just wanted to let you know how good this product is. The new version with the jQuery enhancements made a vast improvement to my page load times. The product is very easy to set up and gives you all the flexibility without the complexity of other banner systems. My advertisers like it because it is easy for non technical people to be able to see what is going on with their ads. Keep up the great work.